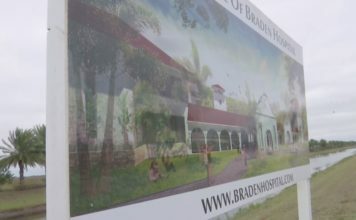 Naples Community Hospital is blocking the development of Braden Clinic’s new hospital in Ave Maria. “I’m furious because it’s all about money for them in a selfish way, a very selfish way in my view,” said Robb Klucik, a father living in Ave Maria. NCH is suing after the state approved moving forward with the new hospital. 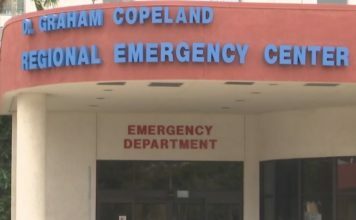 NCH told WINK News the new hospital would drive up medical costs in the area and that there is no need for redundancy in services they already provide. Ave Maria residents disagree, saying it takes an hour to get to the nearest hospital. “I don’t want it to be that our family always wonders if we’re going to be the ones that don’t get to the hospital on time,” he said. But NCH says there’s a lack of geographic evidence to back that up. Dr. Emily Walkey with the Braden Clinic says the infant mortality rate in the Immokalee and Ave Maria area is three times higher than the rest of Collier County. Dr. Walkey says the hospital will have a much-needed birthing unit to prevent mothers in labor from enduring an hour-long drive to an ER. “There’s a huge group of people here, we need access to care that’s nearby, it shouldn’t be an hour drive,” Klucik said. The battle will hit the courtroom next February.